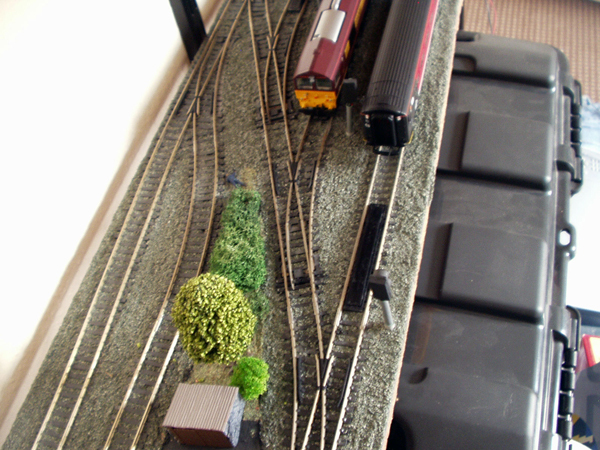 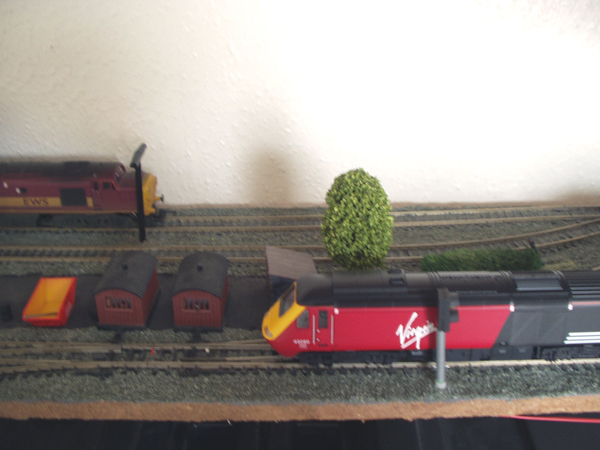 Model Railway Shelve Layout with Hornby class 37's, 59, Virgin HST. 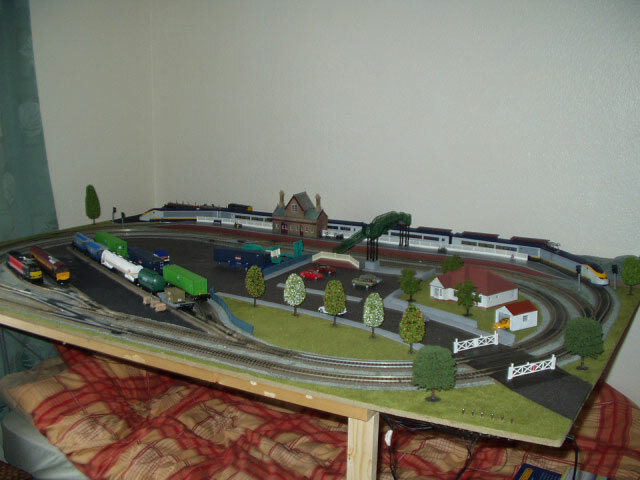 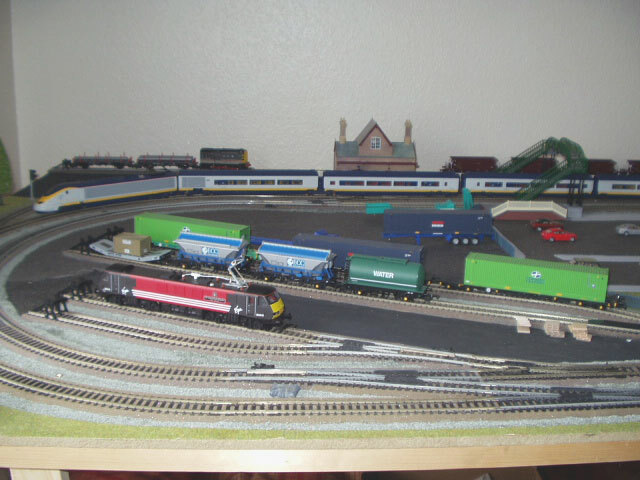 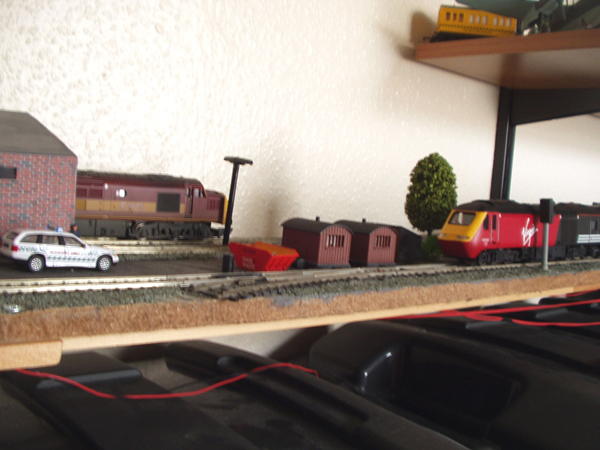 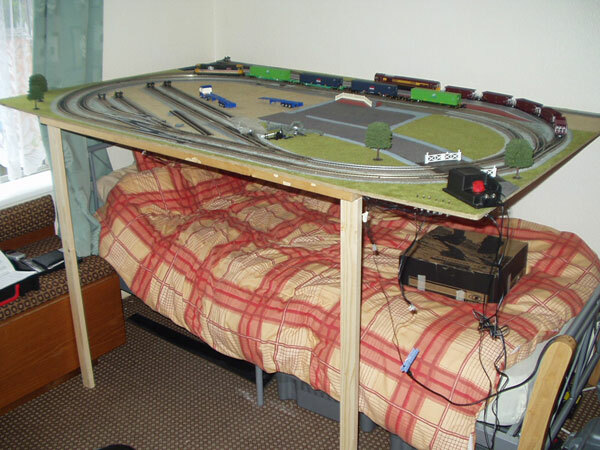 This layout was built as a shelve to run my rolling stock onto when it was time to put away my main board which is hinged on the wall. 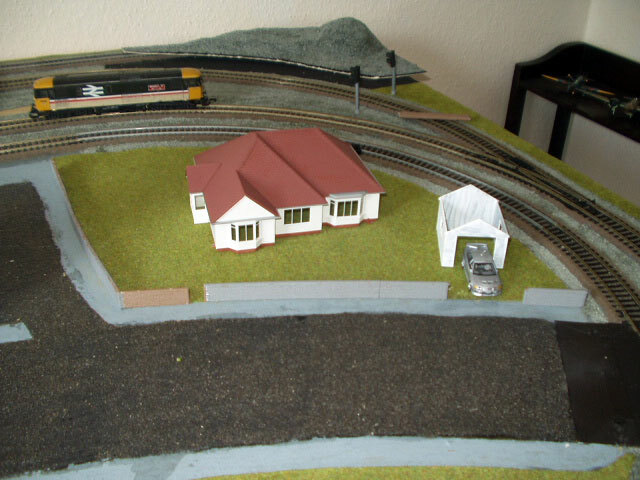 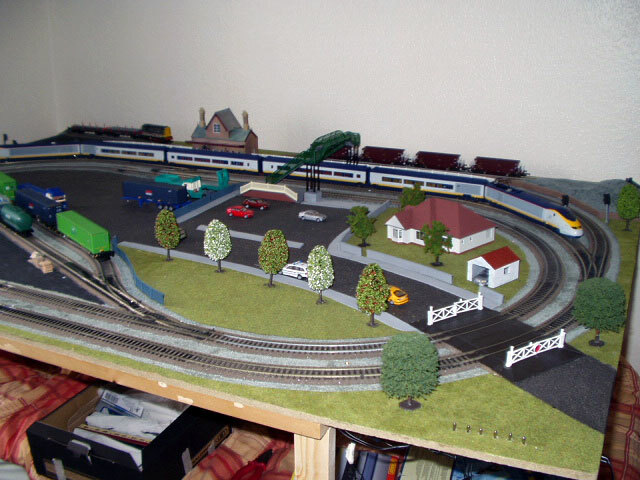 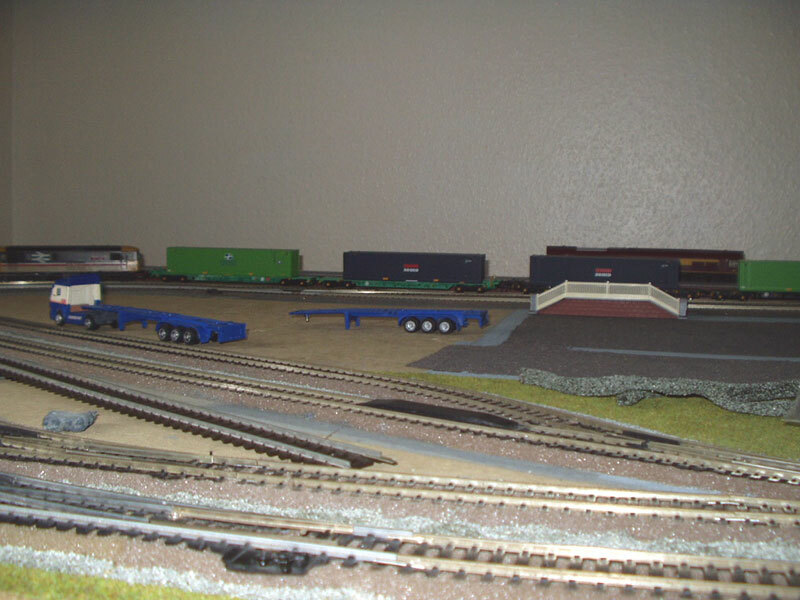 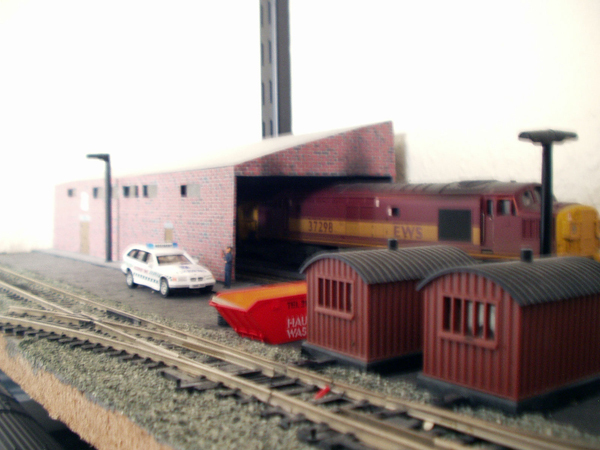 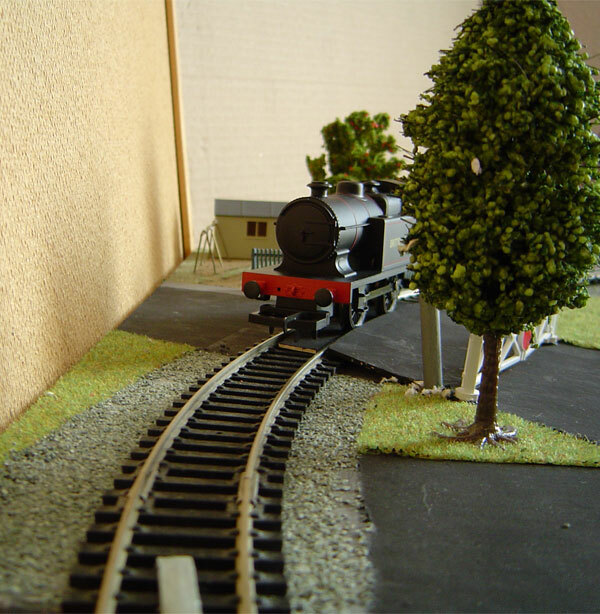 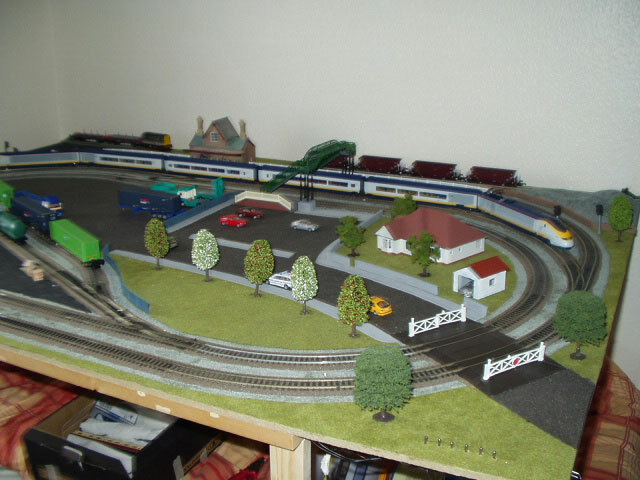 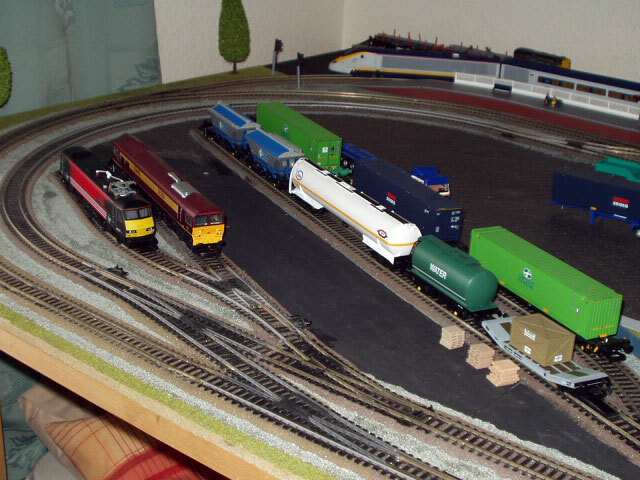 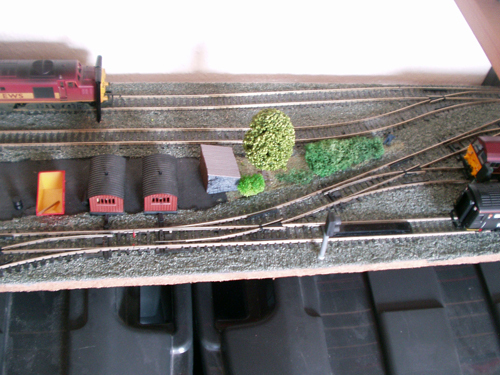 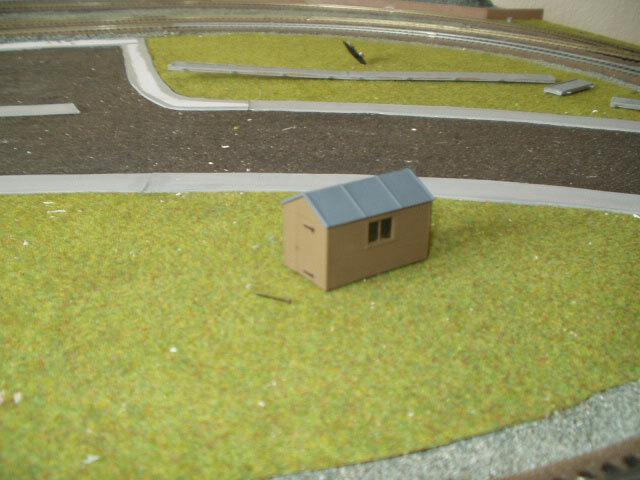 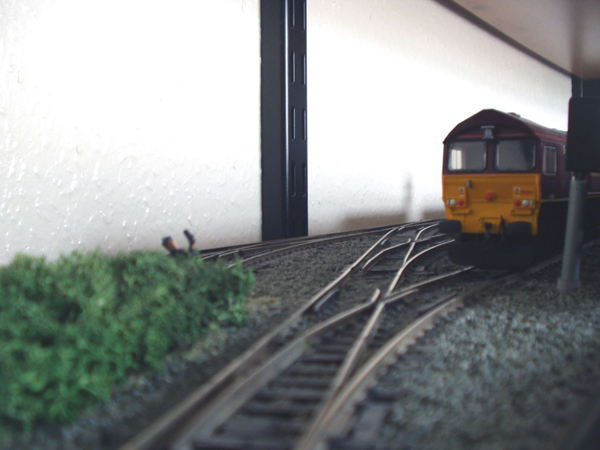 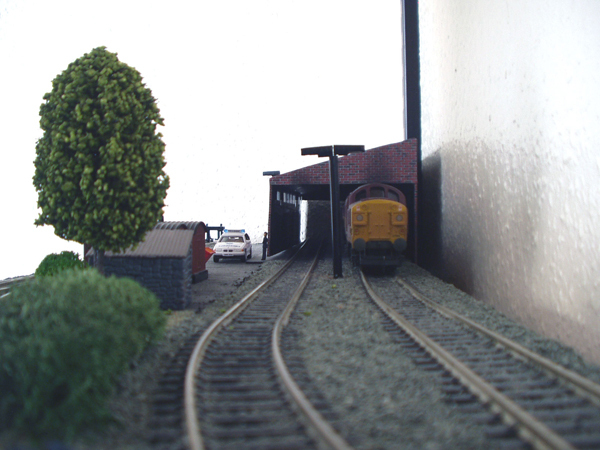 I built it in the style of an EWS sidings and Engine maintenance shed. 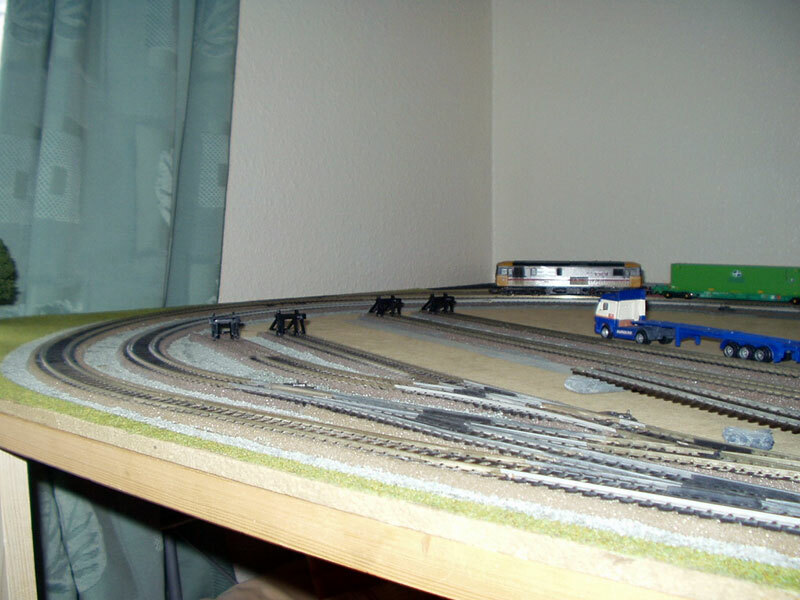 This layout is hinged to the wall for easy storage. 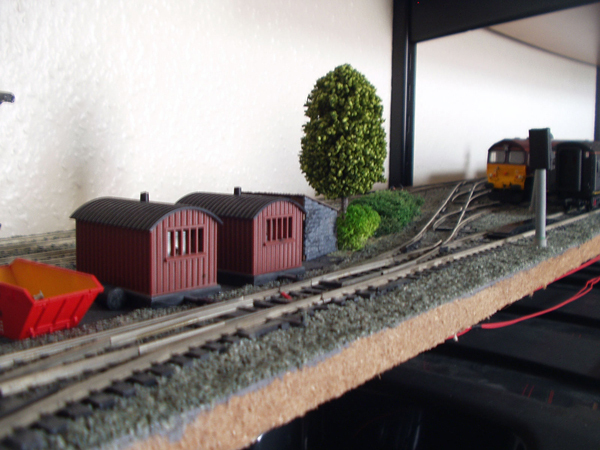 I have recently built the storage shelve above to store my rolling stock. 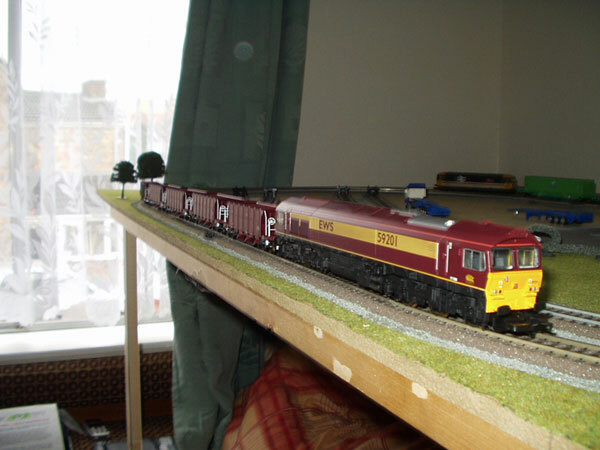 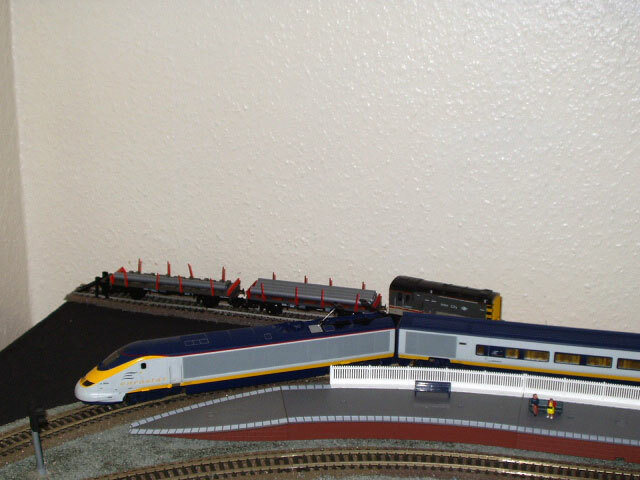 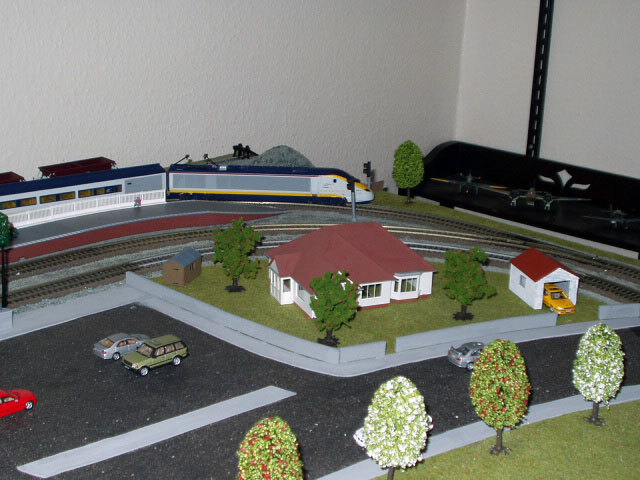 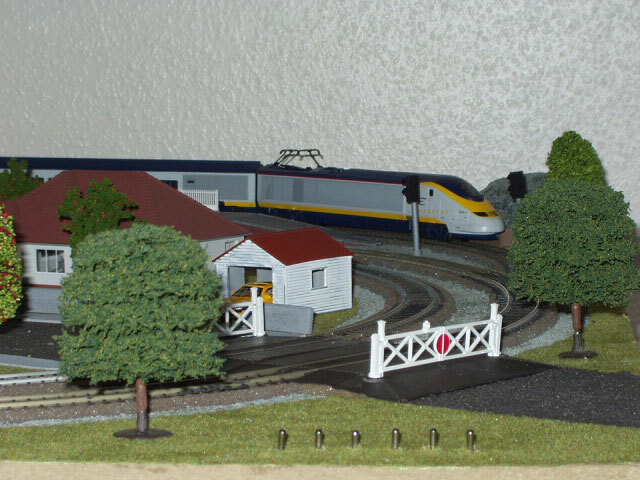 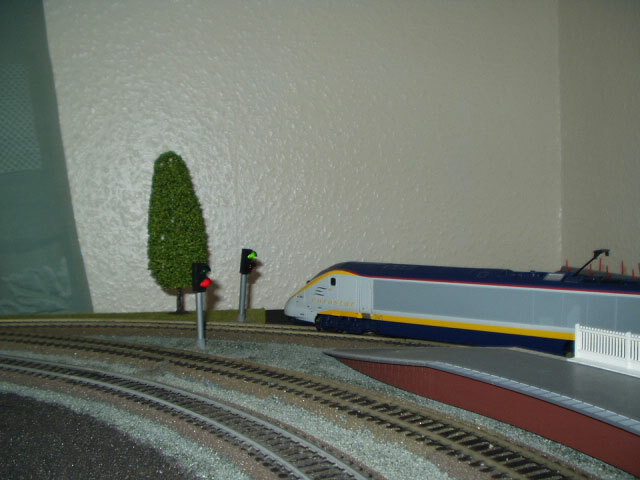 Pictured is a Lima class 59 and 73, and a Hornby Eurostar. 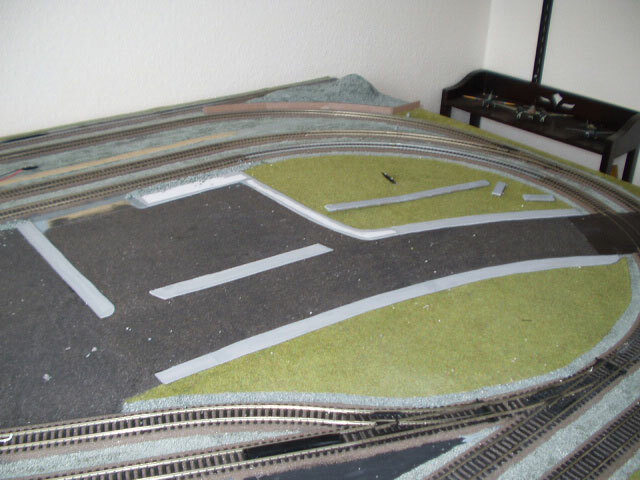 I did say finished, but I have made a few modifications and improvements to this layout. 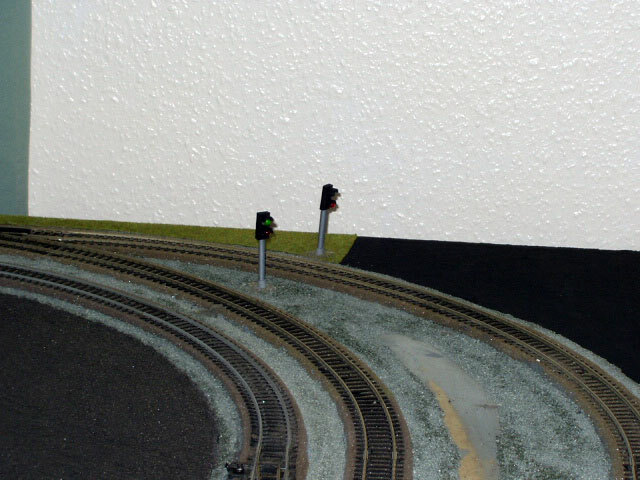 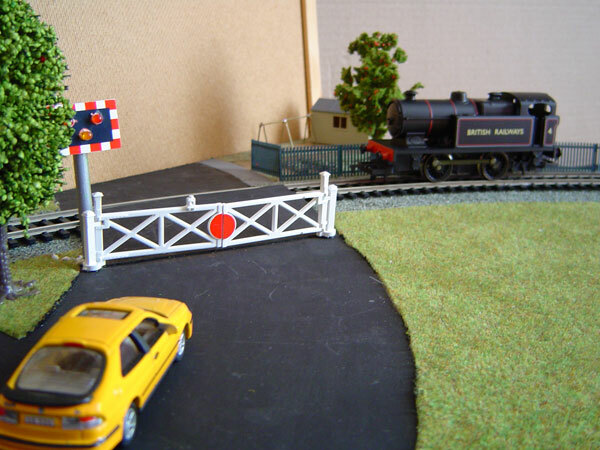 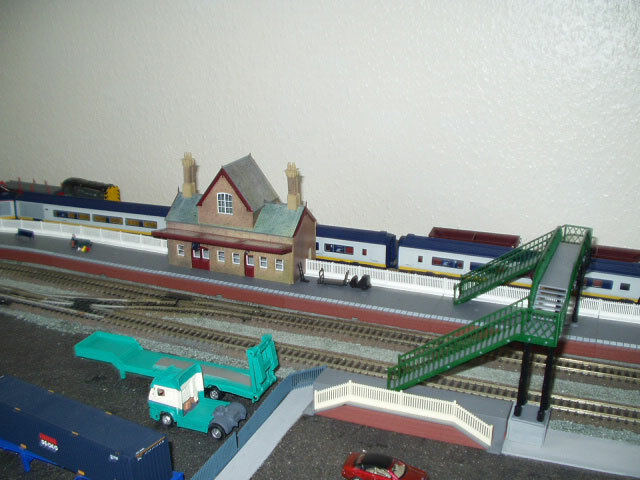 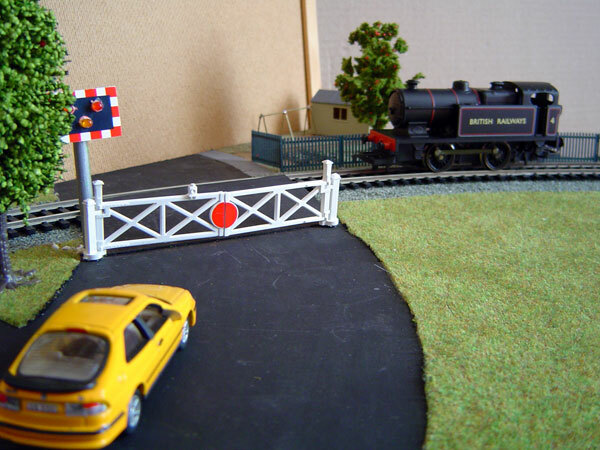 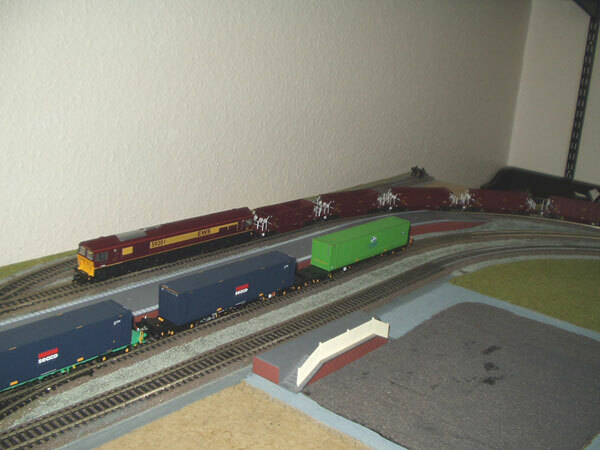 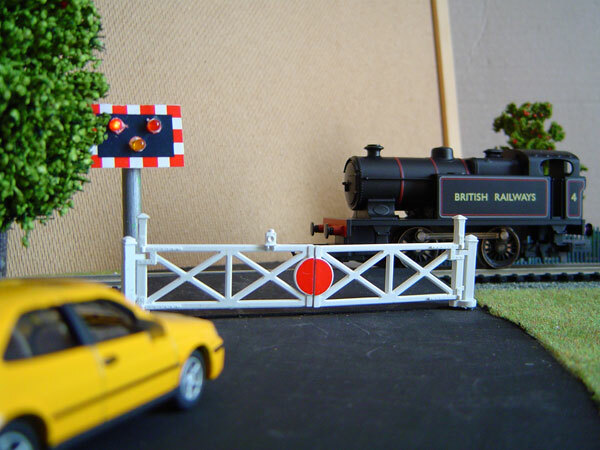 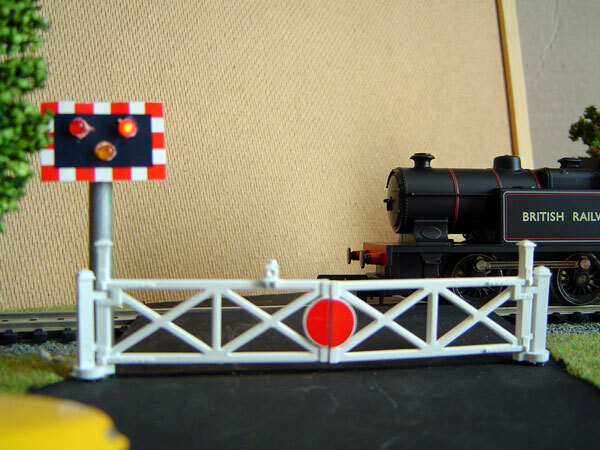 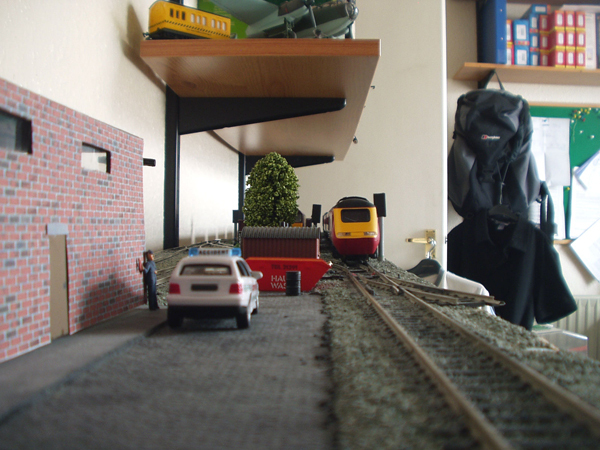 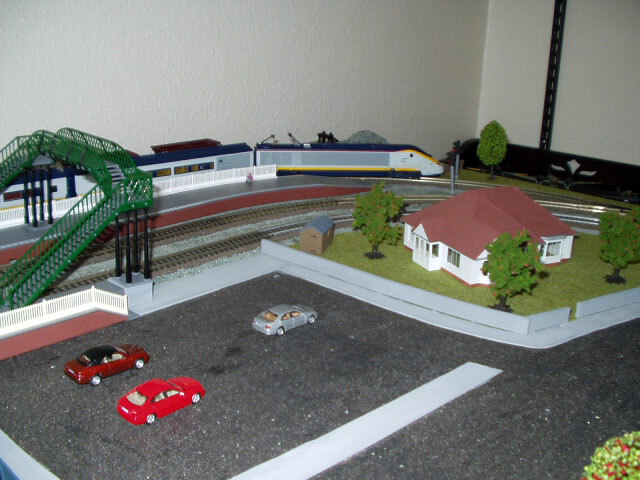 Just a few pictures of my working model railway crossing. 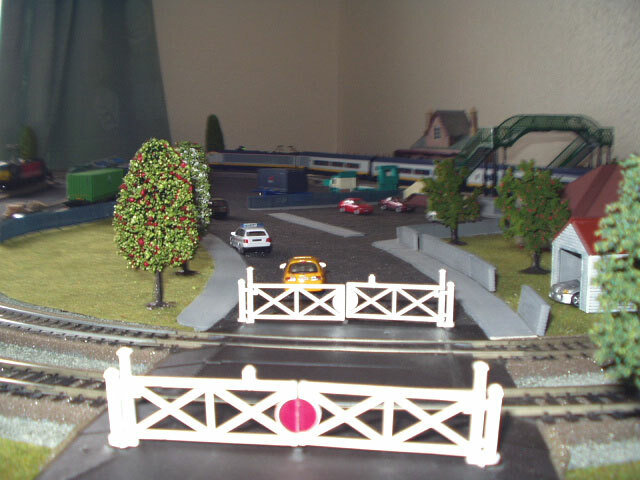 These were taken from a small demo layout I built out my link board.